“Bothy” is the Scottish word for a shelter or cottage, in case you’re not up on your Highlands parlance. 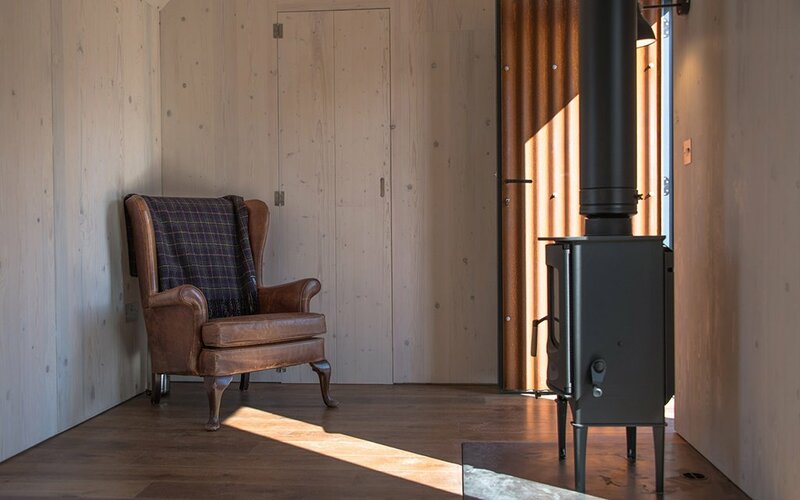 Today, we’re looking in particular at the Artist Bothy, a collaboration between friends Bobby Niven (artist) and Iain MacLeod (architect) that serves as a base for nomadic creatives who don’t want their studio tethered to one location. Artists, right? It’s not the only iteration of their vision either. 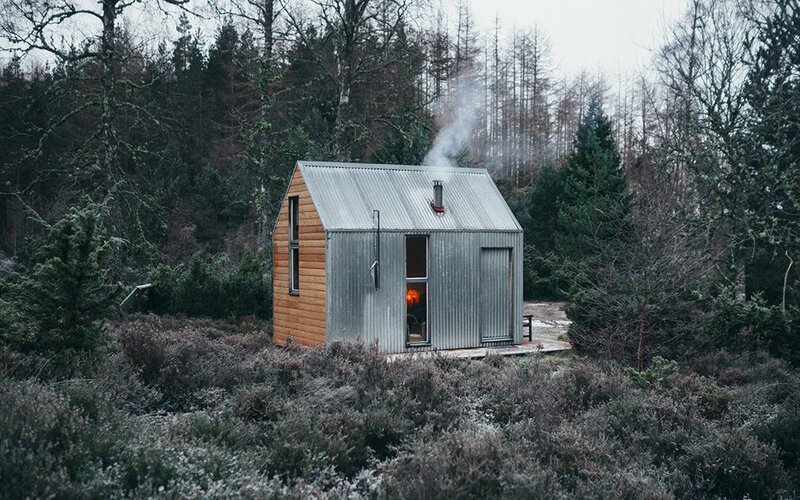 The pair together founded the Bothy Project, a nonprofit that facilitates off-grid artist residencies in Scotland by providing them with considered, functional shelters that can be moved about the country. 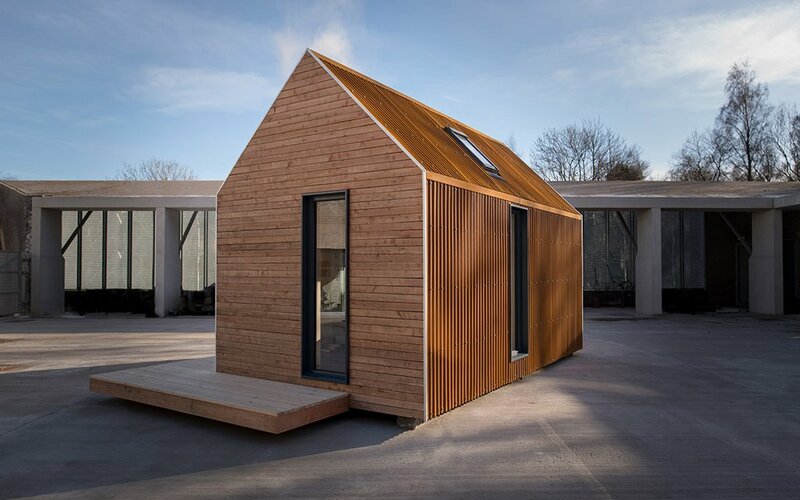 Now their shelters are coming to the commercial market, with the emerging Bothy Stores, proceeds of which will go back into the Bothy Project. The Artist Bothy will cost about $55,000, and can easily be transported via lorry (that’s cross-pond speak for semi truck). 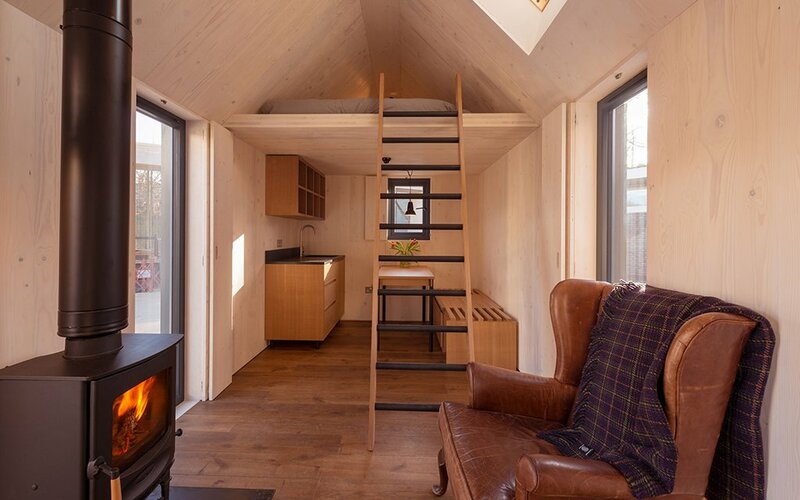 Inside, it has all your needs covered so you can focus on your work: small kitchen, wood-burning stove, loft. There’s even a wraparound deck — a small wraparound deck, of course, but big enough to think your thoughts on. Their site is live, but advises to stay tuned for further details. In the meantime, go and rustle up some land, and some good ideas.